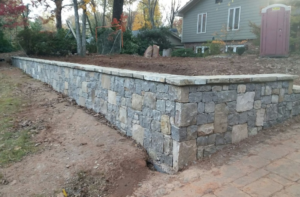 Retaining walls often look like simple stacked stone, concrete, or brick, but in fact they are carefully engineered systems that require much planning. Retaining walls are a great way to provide support to slopes of soil and land, increase usable yard space, and even add attractive curb appeal to your home. Homeowners and landscapers often utilize retaining walls as a solution to maintain soil in a specific shape for structural purposes such as elevating driveways, retaining landscape designs, and so much more. 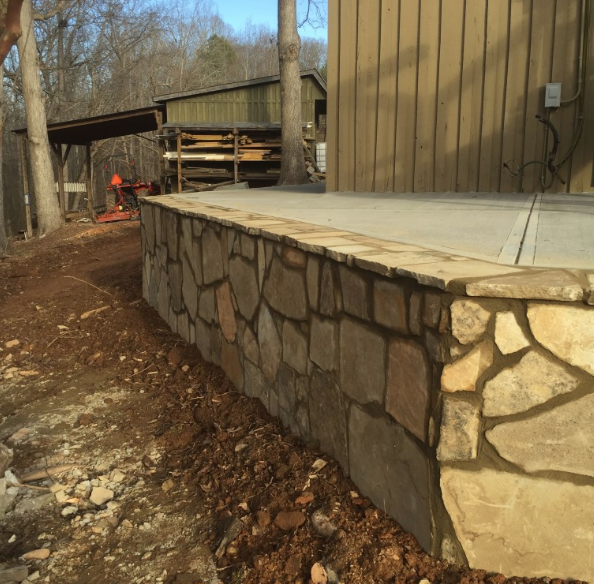 If you are looking for a retaining wall contractor in Atlanta, Sudlow Concrete is at your service. 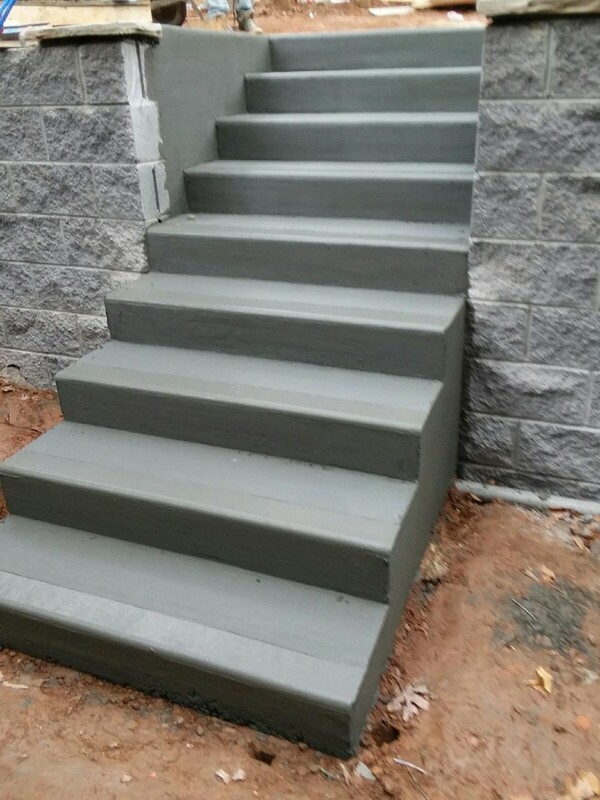 At Sudlow Concrete, safety is of highest priority to us and we encourage you to entrust a contractor that has extensive experience and knowledge in building safe retaining walls. One important aspect of building retaining walls is knowledge of lateral earth pressure to assess, design, and engineer constructs that are safe for environmental and structural demands. We take this into consideration to build retaining walls that resist long-term tilting, cracking, and bowing – all results of poorly constructed walls built by inexperienced contractors. 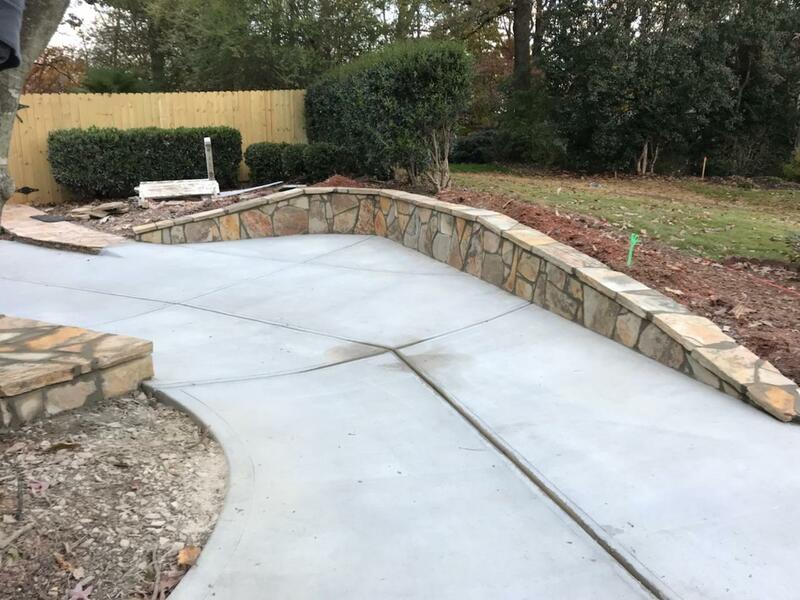 Our retaining wall specialists have several years of experience in building the most sustainable retaining walls around the Metro Atlanta area. At Sudlow, we work with you to not only design retaining walls that are safe, but ones that also add handsome curb appeal to your home. There are a variety of decorative options for your poured concrete retaining wall, including masonry, stone work, and much more. Contact us today and we’d be happy to discuss all potential design options to fit your personal style preference and home aesthetic. Raised driveway retaining walls are perfect for Atlanta residents who are looking to expand their driveway and need to compensate for a land slope that may be too shallow or unstable. For raised driveway retaining walls, we cannot stress the engineering process more. It’s critical to have proper planning to construct a raised driveway wall that is durable, balanced, and safe to support the weight of cars. One important aspect of building driveway retaining walls is to allow for proper drainage to avoid bulging and instability. One common trend among Atlanta residents is expanding the living space to the outdoors to increase usability to enjoy the beautiful outdoor weather. Retaining walls are a great way achieve a comfortable outdoor living space to make it more functional, livable, and attractive. 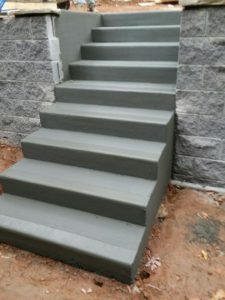 A very popular retaining wall technique is to build stepping stairs through stone work, blocks, or concrete to provide functionality to get to different levels of land. At Sudlow, we have endless design options to construct the most eye-catching retaining wall design for your home that also add value to your property. Sudlow Concrete also has extensive experience in building retaining walls for commercial spaces such as parking lots. Parking lot retaining walls require appropriate soil reinforcement, earth retention, and proper drainage to ensure safe and long-lasting functionality. Contact our experts today to discuss all commercial retaining wall solutions for more information. Concrete retaining walls are one of the most cost effective solutions for retaining wall needs. 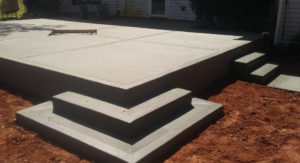 The process to build a poured concrete wall in Atlanta is to start with a free consultation at your residence to assess the lateral slope in question and discuss your design needs. At Sudlow, we can achieve many retaining wall shapes to meet your specific need. We have experience in constructing curves, sweeps, and many other designs to perfectly embed your retained wall or driveway. At Sudlow, we also offer poured concrete walls to meet all residential or commercial landscaping needs. View our gallery to browse some of our previous projects! 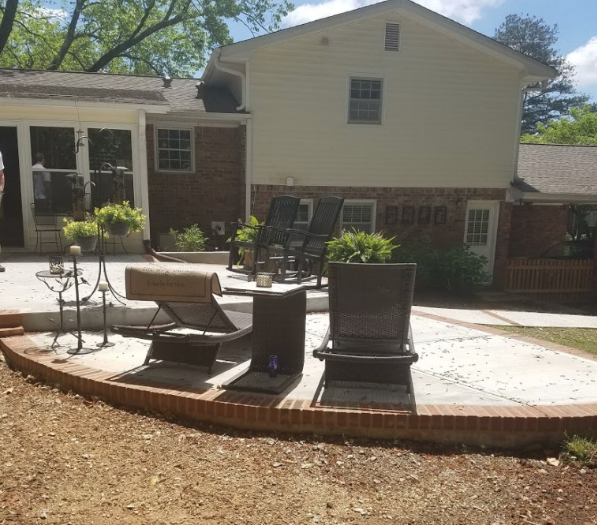 For more information on retaining wall solutions for driveways, stairs, landscaping, parking lots and more, contact us today at 404-450-3753 to get a quote. 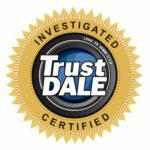 We provide free, onsite consultations to give the most accurate cost estimates for your particular project with absolutely no hidden fees!